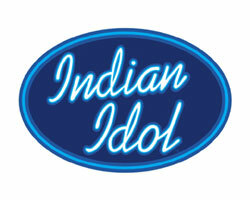 With the exit of talented Emon, Sony TV is denying rumours that there is no rigging in Indian Idol Voting process. Sony Entertainment Television is strongly denying the rumours going around that there is some rigging going in Indian Idol voting process. An offical source said, "We have a reputed third party organization which audits the voting process, which is very fair. People are wrongly blaming us for Emon's and Chang's Ouster, You don't vote for the right singer, and then cry about a lesser person coming ahead. Prashant has a sizable number of people in his home area and the police force who are voting en block , so he is winning." The source went on, "Don't the judges (Alisha wanted to walk out ) also complain about audiences voting pattern? Although Emon was a good singer, we alway knew that he will be out, because he did not have required public support." On the question of making the vote figures public, our source said, "The format( Indian idol is international format) does not allow for the same . And secondly, if we do give the voting figures, will it not affect the next rounds result?". Taking a dig at the opposition, the source further went on to say that both those shows(Sa Re Gama SVOI) are homegrown and could have had the judges saving the contestants( which we cannot do, due to above format restriction) , but even then they prefer to ape us. When reminded that something similar had happened during Qazi victory in Fame Gurukul2, the source empathetically denied any wrong doing even then too. "We Indian's like the underdog and support him, hence Qazi came ahead.. So please vote for your favorite contestant rather then just crib."